A Showcase of New Virtual Technology. 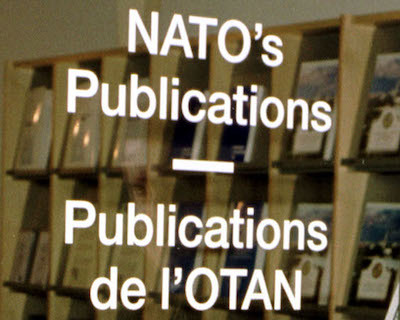 NATO's Public Diplomacy Division and its partners hosted “NATO Engages: The Brussels Summit Dialogue” alongside the NATO Summit 2018 in Brussels from July 11 to 12. 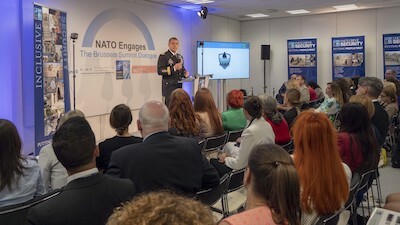 Through keynote speakers and breakout sessions, “NATO Engages” provided a platform to share a diverse range of topics to opinion formers, policymakers, digital influencers and younger audiences that complemented the main Summit agenda. 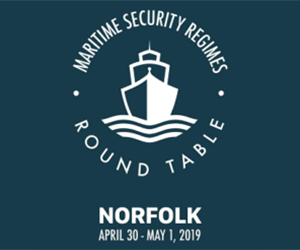 The Inclusive Security breakout session, held on the second day, was a cross-cutting event comprised of NATO’s Allied Command Transformation, Allied Command Operations and NATO Headquarters. 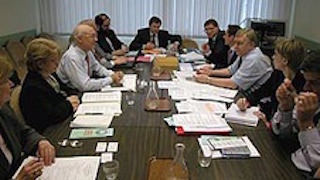 This event brought together the inclusive security collective to include Children and Armed Conflict: Cultural Property and Protection; Protection of Civilians; Women, Peace and Security; and Conflict-Related Sexual and Gender-Based Violence. During the event, NATO’s Allied Command Transformation unveiled a new immersive technology designed to better train Allies working together throughout the globe. Following the formal presentation, a demonstration of Allied Command Transformation’s technology and hands-on opportunities for attendees were provided to give unique insight of the training’s value. 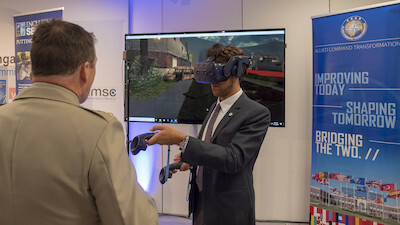 The immersive technology was developed in support of the recently approved “Concept for the Protection of Civilians,” which defines a framework that seeks to identify and understand threats to civilian populations where NATO members may operate. 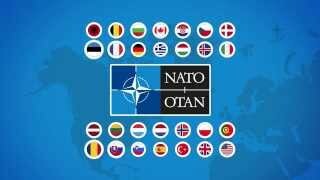 This concept was approved by each NATO nation in 2018, following the July 2016 Warsaw Summit endorsement for a NATO policy focusing on the protection of civilians. Clare Hutchinson, Inclusive Security event host and special representative to NATO Secretary General for Women, Peace and Security, emphasized that teamwork across all levels of NATO contributed to making Protection of Civilians and the virtual training environment prototype a reality. 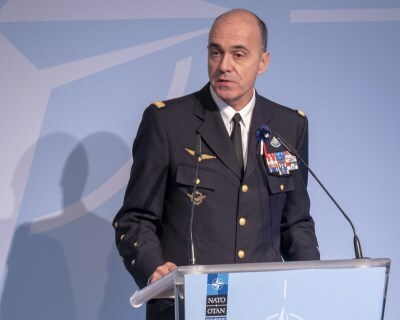 Major General William Hickman, deputy chief of staff for Strategic Plans and Policy at Allied Command Transformation, shared that the command has the lead for NATO education and training. 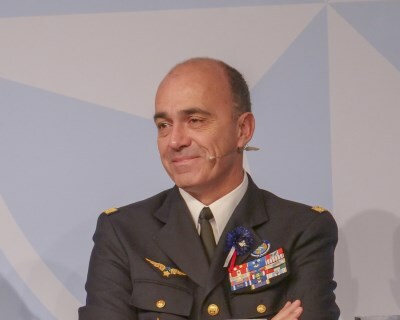 He also stressed that Allied Command Transformation staff members continue to encourage NATO’s evolution through the introduction of new technologies, like the virtual reality demonstration showcased during this year’s NATO Summit. Royal Army Lieutenant Colonel Andrew Atkinson, a staff officer assigned to the Operational Experimentation Branch at Allied Command Transformation, worked to develop the concept of Protection of Civilians over the last two years and believes the protection of civilians should be at the core of all NATO operations. Tracy Cheasley, a liaison officer at Allied Command Transformation for non-governmental organizations, has worked with her colleagues on the concept of Protection of Civilians since the policy’s inception in 2016. 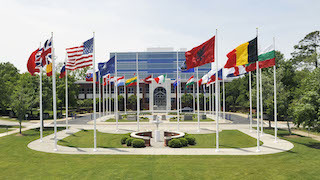 As one of NATO’s two strategic commands, Allied Command Transformation has been located in the United States since 2003. 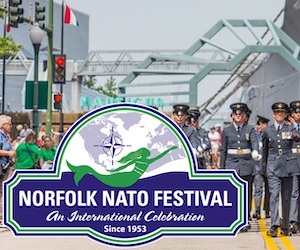 The city of Norfolk, and the region, serve as exceptional hosts to military and civilian personnel from 34 allied and partner nations. 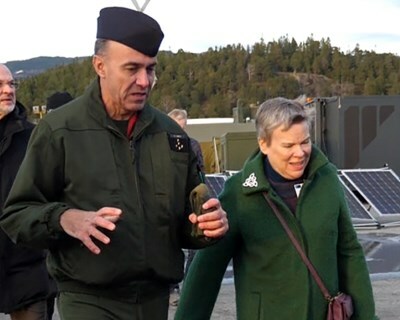 As the warfare development command for NATO, Allied Command Transformation’s mission is to contribute to preserving the peace, security and territorial integrity of Alliance member states by leading the transformation efforts of military structures, forces, capabilities and doctrines.